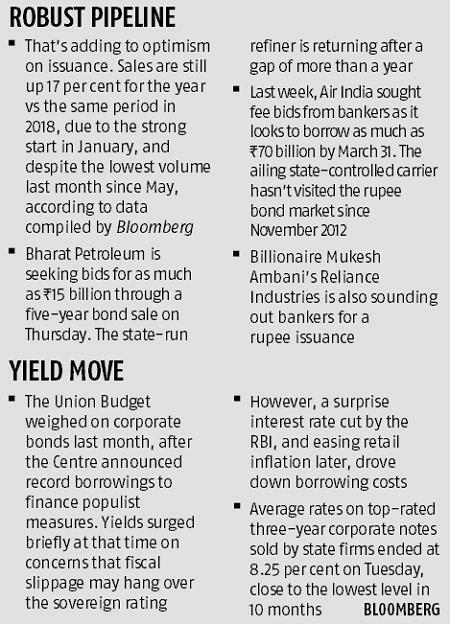 Rupee bond sales are gathering pace once again as some of India’s bellwether companies consider tapping the market, after a lull in February. A flurry of fundraising in the beginning of the year cooled last month as issuers waited for cues on rates from the federal budget and monetary policy review. Sales are now back on track as large firms wade in to take advantage of falling financing costs. That’s adding to optimism on issuance. Sales are still up 17 percent for the year vs the same period in 2018, due to the strong start in January and despite the lowest volume last month since May, according to data compiled by Bloomberg. Bharat Petroleum Corp. is seeking bids for as much as Rs 15 billion through a five-year bond sale Thursday. The state-run refiner is returning after a gap of more than a year. Air India last week sought fee bids from bankers as it looks to borrow as much as Rs 70 billion by March 31. The ailing state-controlled carrier hasn’t visited the rupee bond market since November 2012. Billionaire Mukesh Ambani’s Reliance Industries Ltd. is also sounding out bankers for a rupee issuance. The federal budget weighed on corporate bonds last month, after the government announced record borrowings to finance populist measures. Yields surged briefly at that time on concerns that fiscal slippage may hang over the sovereign rating. However, a surprise interest rate cut by the central bank and easing retail inflation later drove down borrowing costs. 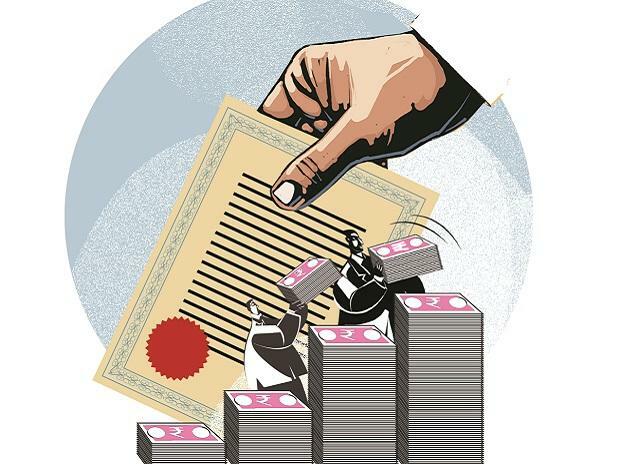 Average rates on top rated three-year corporate notes sold by state companies ended at 8.25 percent on Tuesday, close to the lowest level in 10 months.